Part of the municipal area of Palafrugell, (in the Baix Empordà), Llafranc is essentially a residential area of great architectural value. Its population is consequently made up of visitors or those who have their second residence there. Of small dimensions this spot stands out due to the charm of the typically Mediterranean, marine surroundings which characterize it. The scenery of Llafranc is in itself its principal attraction, which is complemented by the family atmosphere distilled by its streets and people. The emblem, par excellence, of Llafranc is the lighthouse of Sant Sebastià, which rises impressively above the homonymous headland. The coastal promenade, perfect for contemplating the beauty of the landscape, is a must! Apart from the lighthouse the headland of Sant Sebastià is home to the Torre de Guaita (a watchtower), a hermitage and the restored remains of an Iberian village. The popular Singing of the Habaneras in August, as well as the Mercat Boig (a market full of artisans, antiquarians and second hand goods dealers), the first Saturday of September, demonstrate the social and cultural wealth of the locality. 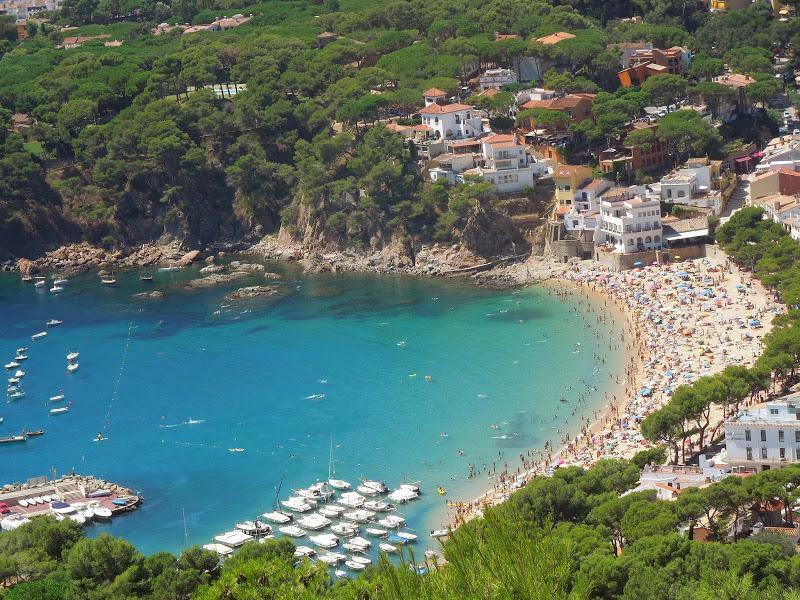 As with the neighbouring towns, Llafranc’s culinary proposal is both rich and varied. Here fish dishes stand out along with those combining meat and fish (called ‘sea and mountain’), for example chicken with lobster.